BTC members are entitled to free wedding services at our temple. If you are interested in having your wedding at BTC, we urge you to sign up for membership and attend our services. All services are subject to the temple schedule and should be scheduled at least three months in advance. Please contract the temple for appropriate paperwork. 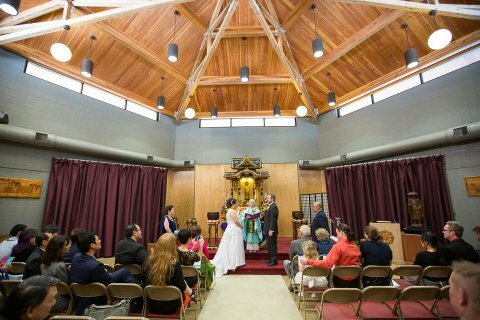 Two temple members wed at the temple in spring of 2015.